German luxury carmaker Mercedes-Benz will begin construction of its electric battery plant next year, located seven miles from the Mercedes-Benz Cars vehicle production site in Tuscaloosa, Alabama, U.S.A. The battery plant, part of a network of eight globally, will build high-voltage batteries for the all-electric EQ brand of Mercedes vehicles and batteries for the hybrid plug-ins as well. 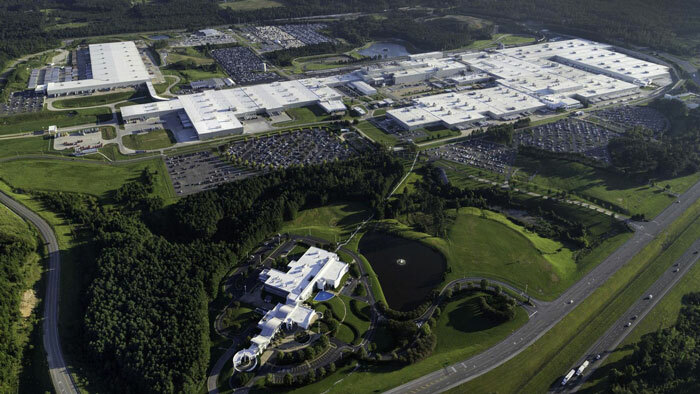 Jason Hoff, president and CEO of Mercedes-Benz U.S. International (MBUSI), said the battery plant will cover 2 million square feet – twice the size of the original Mercedes-Benz plant built in Vance more than 20 years ago. The battery factory will also have a battery analysis center, a first-of-its-kind for the company, to test batteries in the field for quality and innovation, Hoff said. Hoff said the Tuscaloosa County plant should begin producing fully electric SUVs – and the battery plant begins producing batteries – by the beginning of the next decade. Mercedes-Benz’s goal is to offer fully electric versions of every model by 2022. “The widely export-oriented Mercedes-Benz plant in Tuscaloosa is a high-tech production facility with a successful history and an exciting future in terms of our brand in the United States. We aim to play a pioneering role in the development of e-mobility and are well prepared to accomplish this mission. One year ago, we have announced USD1 billion investment in Tuscaloosa mostly for the production of electric SUVs and a battery plant. We are bringing electric mobility for Mercedes-Benz to the United States. Around the globe, we are preparing six sites for the production of EQ models and our battery network will consist of eight factories,” said Markus Schäfer, member of the Divisional Board of Mercedes-Benz Cars, Production and Supply Chain, who attended the groundbreaking ceremony last week. There’s no word on the overall planned output of the battery factory, but Mercedes-Benz is talking about not only manufacturing battery packs for EQC electric SUVs to be produced at the Tuscaloosa factory. It will also export packs to support other electric car production around the world. Alabama Governor Kay Ivey, who attended the groundbreaking last week, said the state will contribute road improvements along U.S. 11 between Woodstock and Vance to help speed commercial traffic on the seven-mile stretch between the two campuses. The Tuscaloosa County operation is an important part of the flexible global network Mercedes-Benz is continuing to build. Mercedes-Benz U.S. International began building a global logistics center and parts hub last year in Woodstock, near the Vance plant. Hoff said the logistics center should start operations later this year, as the building is largely completed. It covers 800,000 square feet and will supply overseas assembly plants with car kits, which will be largely for local markets in Asia. The 1.3 million square foot after-sales hub, located next door to the logistics center, will provide spare parts for overseas markets. This will consolidate three existing after-sales warehouses in the state. It is expected to begin operations by the end of 2020.